Silverstone Auctions will hold a special memorabilia auction in support of the British Racing Drivers’ Club (BRDC) Motor Sport Charity at Silverstone Circuit, on Thursday 19th July, in the first of three days of auctions taking place as part of this year’s Silverstone Classic. With a strong motorsport theme, the BRDC Motor Sport Charity Memorabilia Auction will see over 50 auction lots generously donated by BRDC members go under the hammer to raise funds for the charity’s work in supporting club members and people involved in the motor sport industry in times of need. Highlight lots on offer include a signed Felipe Massa race suit worn in his very last Grand Prix, a pair of race boots used by Jenson Button MBE in the 2016 F1 season, an Ayrton Senna replica race helmet, lunch with Ross Brawn and a Classic Team Lotus experience day, as well as prints, photographs, books and personal items signed by motorsport legends including Sir Stirling Moss, Nigel Mansell CBE, Ayrton Senna, Sir Jackie Stewart and Damon Hill OBE. All proceeds from the auction will be donated to the BRDC Motor Sport Charity. It’s very fitting that this auction should be held here at the home of British motor sport, Silverstone. All the funds we raise will support those members of the motor sport community who are far less fortunate than ourselves. the work carried out by the BRDC Motor Sport Charity is absolutely outstanding and it is our privilege to be holding this fundraising sale. There are some very special and highly collectible items on offer in the auction and we invite all motorsport enthusiasts to come along and bid for this wonderful cause. The auction will take place on Thursday 19th July with bidding available in person, by phone, by commission bid or via the online bidding platform, Proxibid. 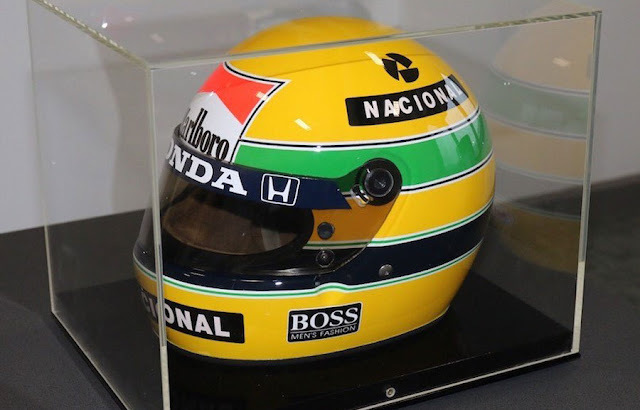 For more information about the BRDC Motor Sport Charity Memorabilia Auction, visit http://www.silverstoneauctions.com/brdc-benevolent-memorabilia-auction.